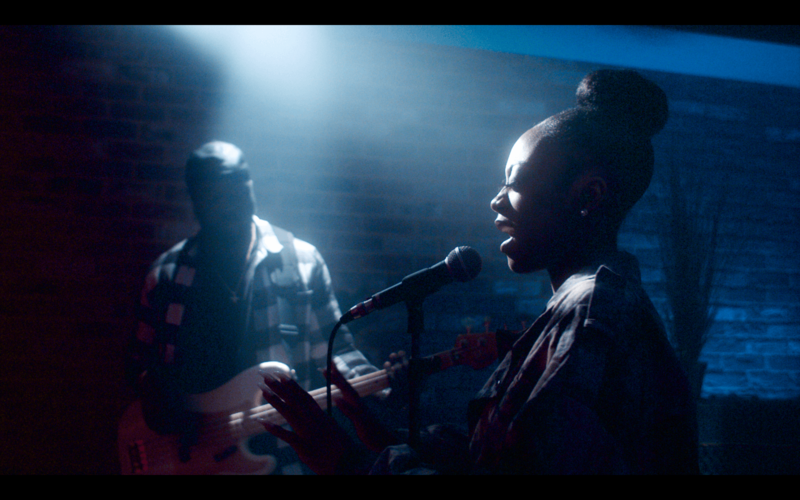 Having grown up listening to a range of classic R&B it's clear to see that it’s made a huge mark on Rai-Elle and her music, upon listening to the EP you immediately get a sense of that old school R&B vibe which has been adopted throughout all four songs, along with a sprinkle of modern-day beats. The 17-year-old South Londoner was first noticed when she reached the X Factor finals in 2017, her sensational vocals and undeniable talent caught the attention of the nation. Fast forwarding to now, Rai-Elle is writing and releasing her own personal music for the very first time. When asked what writing her own music for the first was like Rai-Elle explained “It was exciting but I would also say that it was nerve-racking because obviously, it was the first time. The last thing people saw was me on the X Factor so they’d have high expectations as they saw me rap and they saw me sing so you don’t know what they’re going to expect from you.” Rai-Elle explained further that she had to jump and “go with her gut feelings” to make sure she was creating music that she felt comfortable with and enjoyed as well as creating something “people will vibe too”. Rai-Elle describes the release of her latest EP as an achievement as it was her first but also says it was “scary because of how people might receive it”. On the track ‘Race’ the second track from the EP, Rai-Elle has written about challenges such as not letting people limit your achievements and going for what you want. Written from experience Rai-Elle talked about being in the music industry as a young women so far, with people saying negative things such as “you may be too young to be in the music industry right now” or “you’re too young for the show” which was something said to her back when she was on the X Factor, so she decided she needed to prove herself and had to earn the respect that she definitely received in the end, the track is about having the motivation and “pushing past those comments and proving everyone wrong”. Following on Rai-Elle gives advice for any young talent who are maybe thinking of following in her footsteps and trying to get into the music industry, explaining that if you don’t believe in yourself then nobody will believe in you, by saying “I would definitely say prepare for the music industry because its a tough industry and you have to know yourself and be strong-minded, you need to know exactly what you want. People in the industry will try and change you and tell you-you’re not good enough, but if you know in yourself that you are and you believe in yourself that what will get you where you want to be”. Looking further into the processes that are undergone when recording, Rai-Elle explains that “It depends on the mood, sometimes I will just want to start from scratch, we create a beat from scratch and write lyrics there and then, other days maybe I’ve written a song because I’ve felt some type of way and I’ve just sat down and written it and then I would bring it to the producers and sing it then he’ll create the beat around it.” Listening and being inspired by songs helps Rai-Elles recording process by helping her to get into the zone, her current go too artists are “H.E.R, a variety of old school and new school, Tion Wayne, Chris Brown and Not3s”. Being involved with the whole musical process is something Rai-Elle is enthusiastic about, she enjoys creating beats, and if a specific vibe is coming to her she will show her producer, which then allows them to work in sync to create the beat and melody. Finally we move on to what’s coming next for Rai-Elle and where other passions of hers lie, this is a really exciting time for Rai-Elle as she is right at the beginning of a bright and exciting new career – “Big plans, I’m looking to release more music in the near future, I would like to go on tour even if it’s just within the UK, and hopefully in a couple of years it could be global.” Being an artist allows your talent and to reach to so many people and when you have so many people looking up to you who are inspired by what you’re doing it’s important to ensuring that you are always your authentic self and Rai-Elle wants to be able to do that by putting herself on a platform in which her fans can get to know the real her, “I am a bit crazy and I think people should see that side to me, just letting people get to know me personally”. Music is not the only passion Rai-Elle wants to pursue, fashion is something she would like to take on in the future “Fashion, I’m absolutely in love with fashion, hopefully in the future I would like to release my own clothing line” – Rai-Elle proceeds – “I would like to say I love make-up but I can’t do it to save my life, that’s something I would like to get into, I do like the natural look but I think learning how to do your make-up is really important, so yeah I would say fashion, creating looks and starting trends. I love trainers, not really a heels person, more trainers and trackies”.